The people who work at Professional Wealth Strategies not only have the knowledge and experience to help you pursue your financial goals, but they also happen to be extremely great folks! Our staff is always ready to address your concerns, answer your questions, and put you at ease. John R. Peters, CLU®, RHU, CPCU, ChFC®, AIF®, is CEO of Professional Wealth Strategies. He is an Investment Adviser Representative of Commonwealth Financial Network® and helps his clients plan and live out their retirement. John started his firm in 2003 after building an extensive background in investments and planning. Immediately prior to starting his own business, he worked with financial advisors in eight states to help them prepare for their clients' estate and retirement planning needs. John holds five professional designations, which he acquired after becoming registered in securities in 1969. John attended Davis and Elkins College and majored in economics and business administration. In his spare time, he likes to play golf, read, and research investments. He has also been active in volunteer work and currently serves on the board of his Homeowners Association. 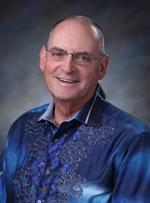 John is past president of the Tucson-area branch of the National Association of Insurance and Financial Advisors. In addition, he is a past member of the Board of Directors of Handmaker Jewish Services for the Aging and served on its Audit Committee. John lives in Oro Valley with his wife, Betty. They have two grown children and two teenage grandsons. They are entertained at home by Lady, their Parson Jack Russell terrier. Gigi D. Schneppat, JD, MIM, AIF®, is an independent Investment Adviser Representative with Professional Wealth Strategies in Tucson, Arizona. She attended the College of William and Mary in Virginia, where she obtained her BA in English and subsequently graduated from the Marshall Wythe School of Law. She went on to earn a master's in international management (MIM) with a concentration in finance from the American Graduate School of International Management (Thunderbird) in Phoenix. Gigi is an Accredited Investment Fiduciary® (AIF®). AIF® designees are held to a higher legal standard than many other investment professionals. They have a reputation in the industry for their ability to implement a prudent process for the initial investment of assets and subsequent monitoring of the performance and reallocation of those assets, based on each individual’s unique situation. Gigi is passionate about guiding individuals through the complexities of today’s global economic environment. Her goal is to help clients implement a sound holistic strategy that addresses all areas of a comprehensive financial plan: investment strategy, generation of income, asset protection, risk management, and estate tax planning/wealth transfers. She also advises employers on retirement plans for employees such as defined benefit (pension) plans and 401(k)s. These plans are falling under intense scrutiny—not only from plan participants but also from the regulatory bodies that are responsible for protecting participants' interests. Gigi partners with employers looking for help with their fiduciary responsibility and helps them implement a disciplined process to better manage their fiduciary obligations, thus lowering their potential liability. Gigi is actively involved in the community. 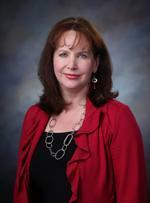 She is a member of the board of directors of Susan G. Komen's Arizona affiliate. She is also past President of Soroptimist International Desert Tucson, the local chapter of an international organization that dedicates its time and resources to help girls and women. As a financial advisor, she sees firsthand the heartbreak and stress women experience going through the transition of losing a spouse through death or divorce. To help these women, Gigi started Wildflower Group Tucson to give women access to the knowledge and resources that could help make their transitions less stressful. Her group provides women with educational speakers on various topics important to their empowerment and the opportunity to meet and socialize with other women sharing a similar life passage. To see what Wildflower Group Tucson offers, go to www.WildflowerGroupTucson.com. Gigi lives with her husband, Bruce, on Tucson’s west side, where they enjoy their daily encounters with Sonoran desert wildlife, particularly the herds of javelina. They enjoy hiking, camping, travel, and watching the antics of their pet tortoise, Buster.